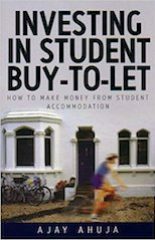 Accommodation Officer Contacts: University Tel Address Web Landlord Accreditation Scheme? Planned development for city A major upset in the local elections of 2004 saw the Liberal Democrats taking control of Newcastle City Council. It meant the end of more than 30 years of Labour control of the city council.Plans to bulldoze hundreds of homes have been reversed by the newly-elected councillors in Newcastle. The new leadership's first policy pledge is to scrap a controversial £200m regeneration project, dubbed Going For Growth.In Winter 2003, there were also plans to build a new £27m library in Princess Square. Also in late 2003, the Council were seeking lottery money to help fund the creation of a £36m Museum of the North, in partnership with Tyne & Wear Museums, the university, One NorthEast and others.Summer 2003 saw the council planning to spend £150m on extensions and improvements to the Eldon Square shopping centre. Planned development for universities University of Newcastle upon Tyne More and better sports facilities are on the wish list but there are as yet no fixed plans for improvements.In 2003, Newcastle University received a £21 million funding boost – its share of a £1bn investment in scientific excellence. University of Northumbria at Newcastle The university is to spend £60 million on demolishing a cinema complex to make way for a city campus. Northumbria University says it needs the site for expansion plans and as space for some of its 2,600 staff.Another £11.5 million plan is to expand student accommodation in Newcastle, providing about 460 state-of-the-art units for University of Northumbria students. The development marks the second phase of student accommodation in the Camden Street area of the city, following the completion of 345 similar units. Description: Newcastle is home to two universities, University of Newcastle and the University of Northumbria. It has a reputation as a fantastic student city. There are numerous pubs, clubs and restaurants to suit a range of tastes and budgets. Shopping facilities are excellent and there is a vibrant cultural scene.The regenerated Newcastle of today provides students with some of the most vibrant city living in the UK. It has the same problems of any big city and you need to expect it to be very cold and wet for a large proportion of the year but other than that you could do a great deal worse. The students have a good relationship with the city's residents. Planned development for universities Harper Adams University College As part of the Higher Education Funding Council for England (HEFCE) drive, Harper Adams University College won £1.4 million in 2004 to develop its work with rural businesses. The cash injection will work on current projects whilst opening up new initiatives. University of Wales College, Newport Plans are underway for a new £60m city centre campus to house the School of Art, Media and Design, Business and Management and Computing & Engineering. There will also be accommodation for an extra 500 students and a new Students’ Union building.The city status will also aid the development of UWCN since research shows that students prefer to study in a city rather than a town. Description: Newport is close to all the obvious benefits of Cardiff but often students find late night taxis back from the city to be a drag. Newport itself has some good pubs to offer to the students and some live music but most usually want to take you'll want to take advantage of Cardiff before long. ** This includes catered, non-catered, on-campus and university owned accomodation nearby campus. Planned development for city More than £24m is to be spent on providing affordable homes for people in Northampton. The funding is partly stimulated by the aim in providing cheaper homes to attract key workers to the area. The government, council and Housing Corporation are together allocating funds to 10 housing associations to produce 592 affordable homes. Planned development for universities University College Northampton University College Northampton' s Business Bridge office has been named as an official outlet for the Department of Trade and Industry's (DTI) Knowledge Transfer Partnerships (KTP) programme. And it is the only one in Northamptonshire.KTPs allow businesses with a long term strategic challenge to tap the resources of a university in order to find a solution. Description: University College Northampton is a lively, medium-sized institution which has been located on its attractive parkland campus in Northampton for over twenty-five years and involved in the town's education for nearly a century. It combines academic strengths and superb facilities with a friendly and dynamic atmosphere. Planned development for universities University of East Anglia A new hall of residence is planned to replace the some that already exist. There is also talk to doubling the size of the union, but as of yet there are no dates or final plans for this.The University of East Anglia (UEA) is to receive a GBP 1.55 million funding boost for its business and knowledge transfer activities.The funding is the result of a successful bid by the University to the Higher Education Innovation Fund (HEIF). Norwich School of Art & Design The HEIF has awarded £375,000 to the Norwich School of Art and Design to develop links with business and the community. The School will receive this money for two years in order to set up a Centre for Innovation, Business and the Community.The School will also receive funding from a joint project in film and digital media which is led by the University of Hertfordshire with Norwich School of Art and Design, the University of East Anglia and Anglia Polytechnic University. Description: Norwich is a good size city which is big enough not to be boring. The city seems to thrive on students, who make up a large proportion of the population.In terms of nightclubs and nightlife, Norwich does well to satisfy but London is not too far away should the students fancy partying elsewhere. The development of Nottingham has been an impressive one and shows no signs of slowing. Major sites include the Nottingham Waterside, a 250-acre area adjoining the world famous Trent Bridge. Other prime sites include the former Royal Ordnance Factory, now Queensgate, and the Nottingham Business Park, now all set to become one of the UK's most prestigious office locations. On the 'Eastside' of the City, there will be many changes set in motion by the success of Nottingham's landmark £40 million National Ice Centre. Planned development for universities University of Nottingham The University of Nottingham is to take part in a joint venture with the Wanli Education Group (WEG) to develop a purpose-built university campus in the city of Ningbo, in Zhejiang province of China. The new campus will be the first to be opened in China by a UK university and follows new legislation approved by the Chinese government on Sino-Foreign educational enterprises.The University plans to open a veterinary school for 100 students in 2006. It will be the UK's first new vet school for half a century, the university says. The school aims to meet a national demand for well-qualified veterinary science graduates. Nottingham Trent University Through a strategic plan laid out encompassing six key ‘strategic platforms’, the university intends on instigating change and improvements throughout. The implementation of these six platforms as detailed on www.ntu.ac.uk (Nottingham Trent University website), they aim to achieve aims, deliver education and research that makes a difference. Description: Nottingham is a famous city with plenty to do and see. However, like any city has its no-go areas, but has plenty of shopping, cinemas, theatres and clubs to make up for that. You won't get bored here. Being the East Midlands largest city, there is good access to all over the UK via the M1 and decent trains to London and elsewhere.